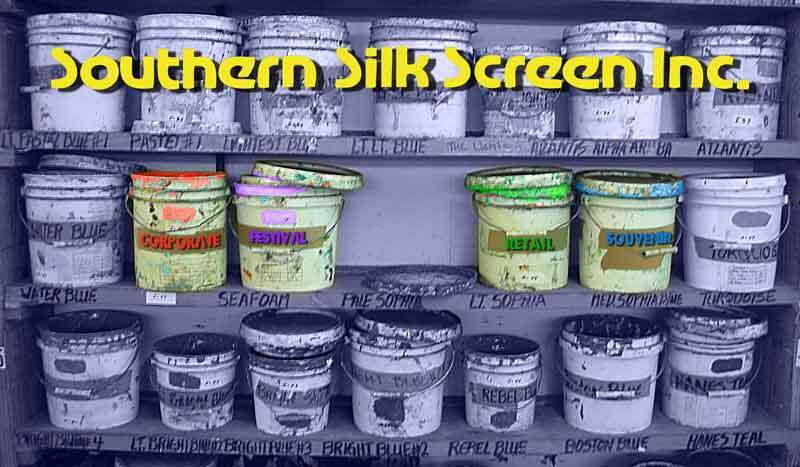 Southern Silk Screen, Inc., located in the metropolitan New Orleans, Louisiana area, was founded in 1981 by artists Pat Searcy and Philip Bascle. We strive to produce the highest quality creative artwork and screen printing on t-shirts or other apparel, combined with a superior level of service for our clients. We work to produce custom designs and handle everything from the design to the printing and packaging, and can ship directly to your retail stores. The services we offer are graphic design, merchandising, screen printing, garment sourcing, including private label and spec development, packaging (tag, fold, bag, assortments) and inventory management. We can source and embellish all promotional materials, such as t-shirts, sweatshirts, knits, caps, bags, golf balls, just about anything! We provide turnkey graphic apparel programs for several major corporations, including Wrangler Westernwear Brand, Academy Sports and Outdoors, New Orleans Jazz and Heritage Festival and Sazerac Corporation. We work hard to maintain a highly professional team that can also be flexible and responsive like a small business. Our goal is to give you the best VALUE for your money.